Art of DuanWu — Jacqie T.
A festival celebrated in most Asian countries with tradition set in culture, the origins of this festival and its rituals are not commonly known to the youths of this age. This package aims to educate the growing children of our society so as to further pass on the traditions to further generations. 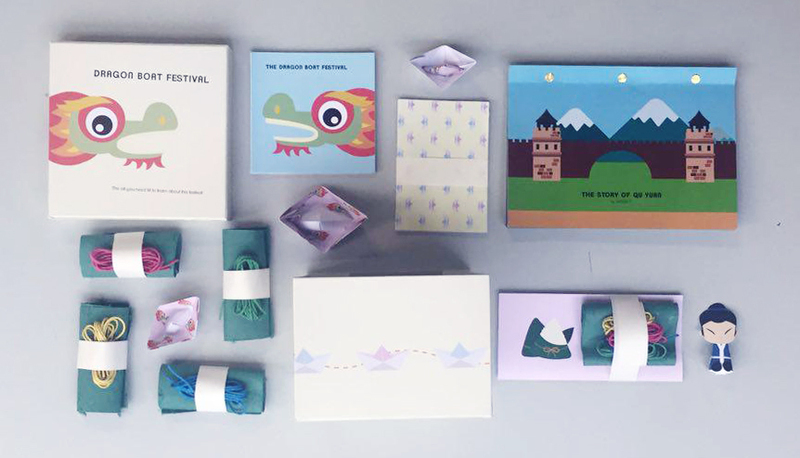 Note: This project was designed with the aim of expansion in mind, to include other festivals such as Chinese New Year, Mid-Autumn Festival and Halloween. Duan Wu Jie has always been celebrated by the Chinese yet most of us grew up not knowing the origins of the tradition and the art of making dumplings from scratch. Research was done for this festival over a period of 3 weeks to fully understand the festival and ensure that all information reflected was true and accurate. 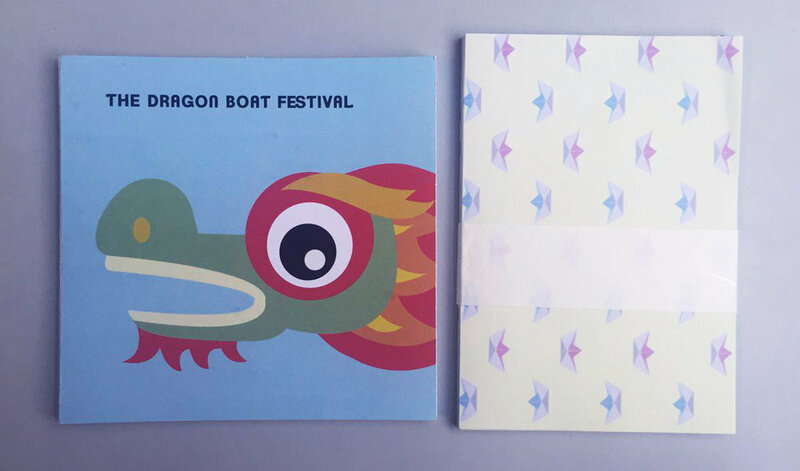 The activity kit was planned out to educate on dragon boat racing and dumpling making, and all illustrations were drawn from scratch. Origami paper and dumpling set materials were also printed and made by hand. The execution process took place over a period of 1 week. Concept & Storyboard | Jacqie T.